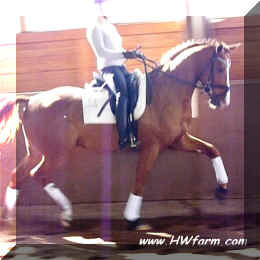 Highly successful at 2nd level, FEI candidate with superb bloodlines and potential! FiderStep HW Cute, pretty, fancy, sweet, already at 2nd level. He’s a really nice FEI prospect. ShowMaster HW Same sire as multiple Young Horse Champion and TRIPLE CROWN WINNER Selten HW, at 2nd level, training 3rd, definite FEI candidate! 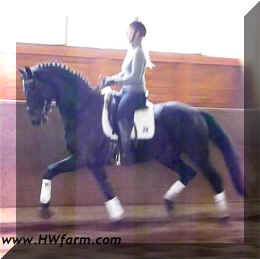 EhrenGold HW Fancy FEI candidate with superb looks and super temperament, already training 3rd level!! 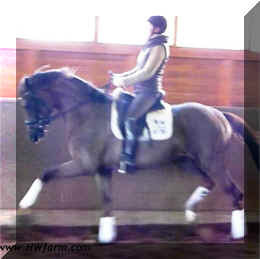 SkyHit Outstanding FEI candidate, phenomenal bloodlines, looks and movement! 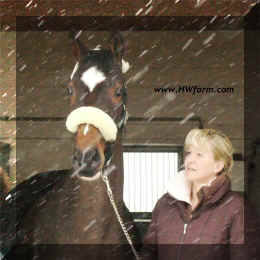 Saint Tropez Superb FEI prospect, ideal for the Young Horse Classes or Bundeschampionat! Spirit Outstanding FEI candidate, breathtaking movement and looks, made for young horse classes and international competitions! Cloud Nine HW High Point Champion with 8's for gaits, impulsion and more. Super chic FEI candidate with outstanding looks, already at 3rd Level and loves to go on trail rides too! 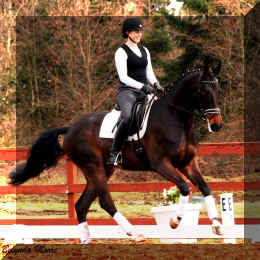 Special K Superb FEI prospect, ideal for the Young Horse Classes or Bundeschampionat! 4th level, PSG, safe, sane and reliable!